Nothing is more frustrating than getting in position to tackle a maintenance task and realizing you don’t have the tools you need. When undertaking RV maintenance at home, you have the benefit of your entire garage of tools; however, on the road, you are limited to the tools at your disposal. It is important to have the general items that are useful for many applications (duct tape, anyone? ), as well as those specific to your RV’s needs. Before hitting the road, think about the items that would be handy for all of your maintenance tasks. Many RV maintenance supplies can be difficult to find while travelling if you don’t have access to a camping-related store. It is helpful to stock up on those supplies, so you have them on hand no matter where you are. This can include specialized cleaners, light bulb replacements, and items related to tank maintenance. General-use supplies may be more readily available while on the road, but you can save yourself a trip to the store by having these on hand, as well. Think about lubricants and sealants, for starters. If you have to tackle RV maintenance while travelling, having the information you need is imperative. In addition to your specific owners manual, don’t forget to check the Internet. You can likely find a website or video for practically any maintenance task. 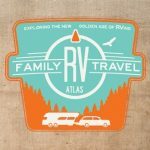 If you can’t find what you need, pose your question on an RV-related forum. Likely, you will get a lot of advice in response. While much of your RV maintenance can be tackled before you hit the road, there are some items that must be checked while travelling. Plan a pre-trip inspection routine to do on each day of travel. First and foremost, check your tire pressure. Then, inspect the sway bars, distribution hitches, and tow dollies for any signs of damage or disintegration. Other items should be checked on non-travel days, including many of those useful systems we use while on the road. Inspect your water heater, refrigeration unit, tanks, awning, and propane tanks periodically while on the road. Each and every time you slide in your slides, look for debris and watch for smooth operations. If you encounter a maintenance item you just can’t handle, don’t be afraid to call a professional. You may easily find a mobile RV repair company that will come to your campground. In more remote areas, however, this may not be an option. While we may wish we could leave the RV maintenance in the dust once we hit the open road, taking care of a few items while travelling is necessary. Keep these tips in mind to ensure smooth sailing ahead.